Earlier today we announced our new Board Chair John Driscoll, who will take over from retiring Chair Janelle Marr in March. 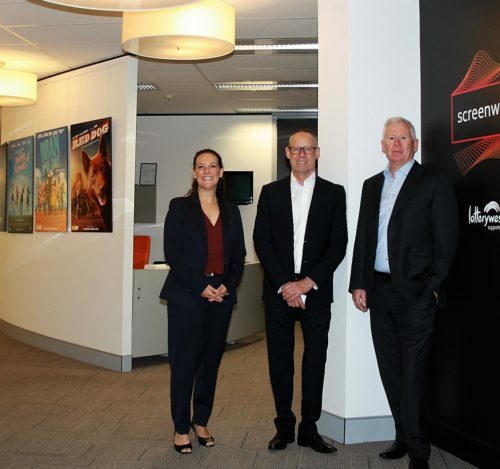 It’s a signficant changing of the guard and I thank Janelle for her excellent guidance and support of the WA screen industry over the past six years and welcome John to the Board. It’s been a busy start to the year with BELOW and I MET A GIRL starting filming and a number of factual productions gaining momentum. In January our very own Scripted Executive Ross Grayson Bell was named in the STM’s 2019 Hot List (he came in at #58) which was followed-up by a three-page feature at the weekend. The article provided a wonderful insight into Ross’s background as a Hollywood-savvy producer while sharing his bold vision for the many talented WA creatives looking for ways to get their projects noticed without having to leave the state. Also last week Vee Pendergrast – a gaming and VR expert consulting with Screenwest – was named as one of the State Government’s 13 Western Australian International Access Pass recipients. This commitment underlines the growing appetite for local gaming and VR expertise and Screenwest is committed to introducing a fund to assisting local developers and back the sector. I’m excited to see promotion ramping up for THE HEIGHTS which premieres on ABC Friday 22 February at 8.30pm. This slice of life drama series was shot last year in and around East Perth creating a wonderful buzz. I encourage you to tune in to ABC or binge on ABC iView to show your support for this homegrown production. Finally, please keep an eye on the listed deadlines for our funding rounds – there are still a few open. We eagerly await your ideas and vision for what’s next for our local industry!